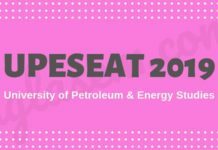 UPESEAT has conducted by University of Petroleum and Energy Studies (UPES). The entrance exam will be held for B.Tech admission. The UPES Engineering Aptitude Test (UPESEAT) is held in online mode. The admission of the candidate will now be done on the basis of their performance in UPESEAT Examination. 80% of seats are reserved for candidates who apply for admission through UPESEAT and 20% seats shall be filled through JEE / Board Merit. 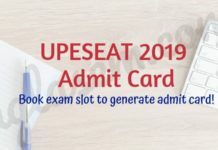 UPESEAT is designed to test a candidate’s aptitude in subjects like Mathematics, Physics, Chemistry, English, Current Affairs. UPESEAT shall be held at 41 exam centers. Candidates will be selected through UPESEAT followed by a Centralized Counseling. Centralized Counseling through Merit Ranking for candidates who chose examination pathway through Board Merit / JEE Merit. 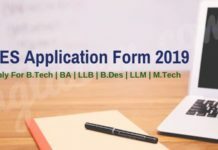 The candidate must have secured a minimum 80% marks in each of 10th, 12th class and PCM for B.Tech. Note: The candidates placed in the compartment shall not be eligible for admission to any program of study in the University.